These days almost all the modern day bike makers have started omitting centre-stands on the motorcycles in order to make them lighter and complement the performance factor. The only motorbikes which come with centre-stands are the commuter bikes, or the adventure touring motorcycles in which saving weight is definitely not the first priority for the automakers. With centre-stands becoming uncommon, paddock stands are gaining popularity and why not? They come handy, are functional and a universal stand fits all kinds of motorcycles big or small. Buy the universal paddock stand for motorcycles at Grandpitstop.com! In the article below we explain to you some simple but important uses of a motorcycle paddock stand. A motorcycle needs to be balanced out on a centre stand or a paddock stand every time it is getting fresh engine oil, or its filters are being replaced. The simple reason being if the motorcycle isn’t centrally mounted the used engine oil might not drain off completely due to the engine chamber being titled on to either side. Hence a paddock stand balances out the bike in a centre position, making it easier for the mechanic to carry out all the maintenance work. 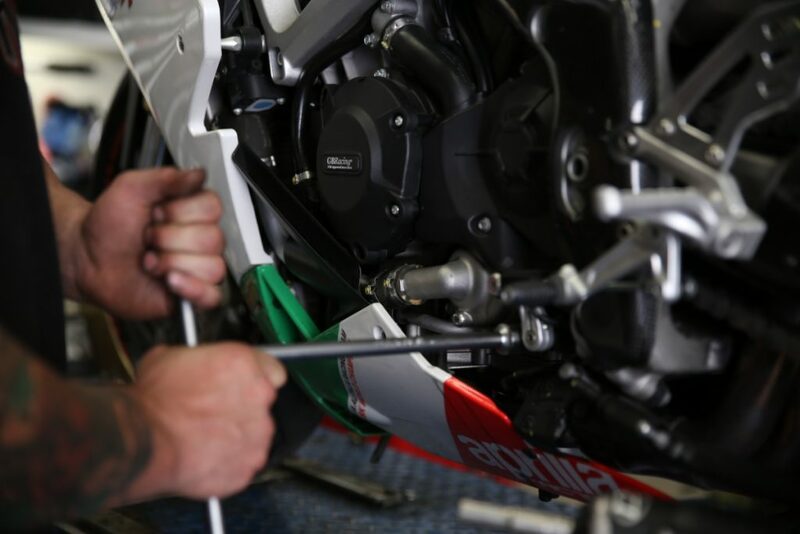 A paddock stand is very necessary for the timely chain maintenance as the rear wheel needs to be free for the chain to be properly cleaned and lubricated. Since the paddock stand lifts off the rear wheel and makes it free to move, thus chain maintenance become a child’s play with its help. 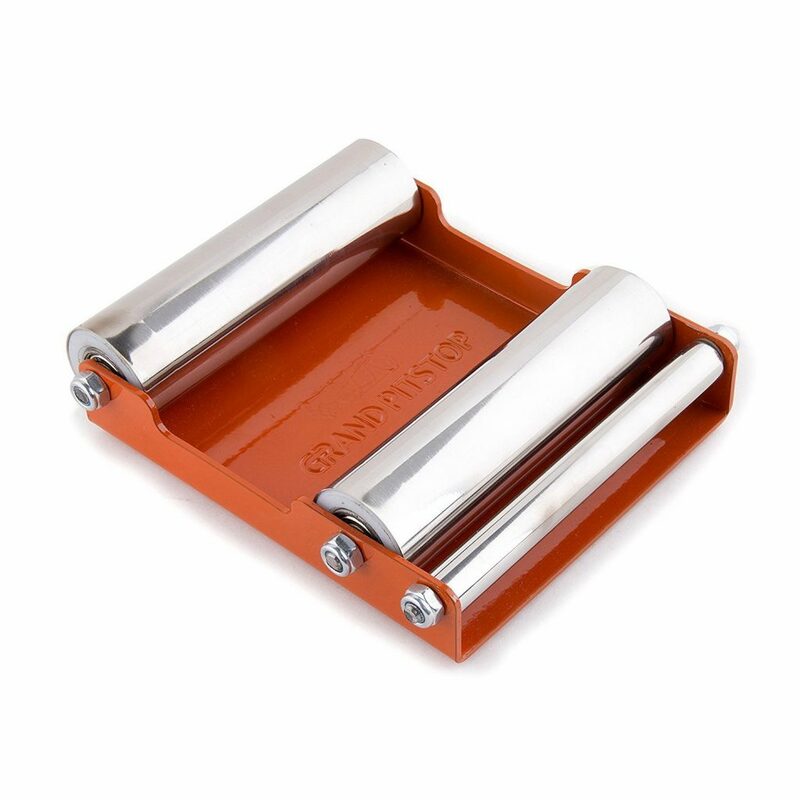 You can also check out G-Roller (Paddock replacement) as available on Grandpitstop.com! Bike wash can never be satisfactorily completed without a paddock stand. Since this stand helps to lift-off the rear wheel which allow it to move freely, it makes the wheel cleaning very convenient. Also since washing and cleaning involves heavy contact with the motorcycle, it can sometimes slide off even if parked on a side stand. Hence using a paddock stand is safer since the bike can be parked in a very stable manner. There are times when you are temporarily shifting to a new city and can’t bring over the motorcycle to the new location, or you simply can’t ride due to health issues. 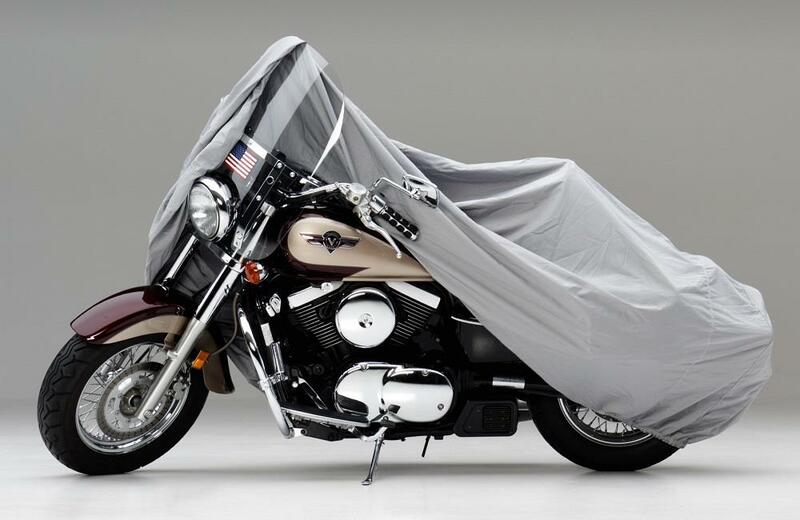 During those times you need to properly store the motorcycle so that it doesn’t deteriorate while being parked inactive. During that time, the paddock stand will definitely help you out as the bike can be stably parked on it. It is always recommended that you lift off both the tyres (front and back) above the ground on paddock stands and inflate the tyres to a unit or two above the suggested pressure. It is done because the tyres gradually loses pressure automatically, and when parked on the ground for a long time, may get a permanent flat section at the portion which was touching the ground. Hence it is always recommended to store the bike on a paddock stand. For more such informative article on motorcycle maintenance and guides, follow blog.grandpitstop.com! Many thanks, I appreciate it! I couldn’t resist commenting.